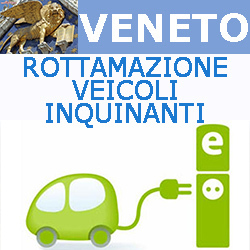 Tamai srl / news / VENETO: BANDO ROTTAMAZIONE VEICOLI INQUINANTI COMMERCIALI DELLE IMPRESE. VOUCHER FINO A € 10.000, SCADENZA 10 NOVEMBRE 2018. VENETO: BANDO ROTTAMAZIONE VEICOLI INQUINANTI COMMERCIALI DELLE IMPRESE. VOUCHER FINO A € 10.000, SCADENZA 10 NOVEMBRE 2018. AGEVOLAZIONI PER INVESTIMENTI: ACQUISTO MACCHINARI, IMPIANTI, ATTREZZATURE, BENI STRUMENTALI, ARREDI E TECNOLOGIE DIGITALI. RIFINANZIATA LA NUOVA SABATINI PER IL 2019 E 2020.